Pushp Krishn Palace, located in Allahabad, is a residential development of Goel Housing Construction. 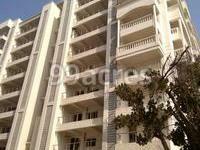 It offers spacious and skillfully designed 2BHK, 3BHK and 4BHK apartments. The project is well equipped with all the basic amenities to facilitate the needs of the residents. The site is in close proximity to various civic utilities. What is the area of apartments in Goel Pushpkrishn Palace? The area of apartments offered in the project ranges from 1232.0 sqft to 2205.0 sqft. 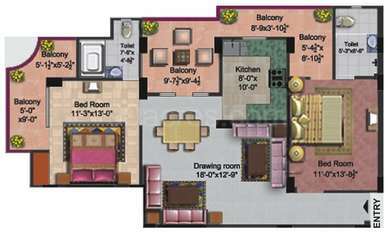 What is the area of 2 bhk in Goel Pushpkrishn Palace? The size of a 2BHK unit in the project is 1232.0 sqft. 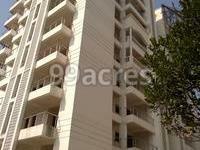 What is the area of 3 bhk in Goel Pushpkrishn Palace? 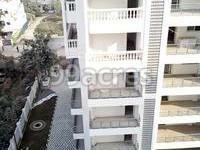 Three-room units (3BHK) in the project are available in an area of 1785.0 sqft. What is the area of 4 bhk in Goel Pushpkrishn Palace? The size of 4BHK units in the project is 2205.0 sqft. What is the total area of Goel Pushpkrishn Palace?The project spans across 0.99 Acres.